The teleconference on Saturday, January 20, 2018, 7:00PM-9:00PM (EDT) [4:00PM-6:00PM (PDT)], will be conducted in the form of a Dhamma Deshana by Ven. Millagala Vimalasiri Thero of Sri Saranatha Vidyapeeta Maha Pirivena, Halloluwa, Kandy, Sri Lanka, followed by a Question and Answer / Discussion session. The teleconference on Saturday, January 13, 2018, 7:00PM-9:00PM (EDT) [4:00PM-6:00PM (PDT)], will be conducted in the form of a Dhamma Deshana by Ven. Millagala Vimalasiri Thero of Sri Saranatha Vidyapeeta Maha Pirivena, Halloluwa, Kandy, Sri Lanka, followed by a Question and Answer / Discussion session. The teleconference on Saturday, January 6, 2018, 7:00PM-9:00PM (EDT) [4:00PM-6:00PM (PDT)], will be conducted in the form of a Dhamma Deshana by Ven. 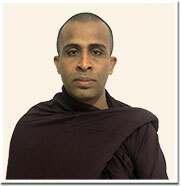 Huruluwewe Pangnarathana Thero of Sri Saranatha Vidyapeeta Maha Pirivena, Halloluwa, Kandy, Sri Lanka, followed by a Question and Answer / Discussion session. The teleconference on Saturday, December 30, 2017, 7:00PM-9:00PM (EDT) [4:00PM-6:00PM (PDT)], will be conducted in the form of a Dhamma Deshana by Ven. 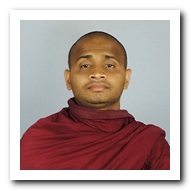 Kottawe Nanda Thero of Long Island Buddhist Meditation Center, NY, USA, followed by a Question and Answer / Discussion session on the same topic. The teleconference on Saturday, December 23, 2017, 7:00PM-9:00PM (EDT) [4:00PM-6:00PM (PDT)], by Ven. 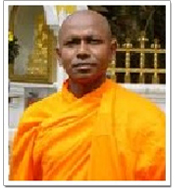 Uruwala Chandodya Thero of Kande Vihara, Kahabilihena, Attanagalla, Sri Lanka, followed by a Question and Answer / Discussion session.